God who is all powerful hears the cry of His people and not only does He hear our cries while we are alive, but all the lives who have been innocently taken by evil hands we know have not died in vain. Just as the blood of Abel cried out from the grave when his brother Cain killed him God hears their life! (Genesis 4:8-10). And Cain talked with Abel his brother: and it came to pass, when they were in the field, that Cain rose up against Abel his brother, and slew him. And the Lord said unto Cain, Where is Abel thy brother? And he said, I know not: Am I my brother’s keeper? And he said, What hast thou done? the voice of thy brother’s blood crieth unto me from the ground. When we become overwhelmed and it seems God is so far away, we need to remember we are of worth to Him as not one sparrow falls without Him knowing it. (Luke 12:6-7). We have not made ourselves but He who created us holds our soul in this life. 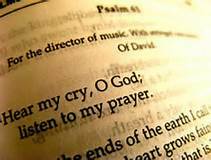 (Psalm 66:9). Which holdeth our soul in life, and suffereth not our feet to be moved.